Need to buy a gift for somebody who loves technology but you can’t afford the big ticket items? Don’t fret! We have some affordable answers. Sometimes classic technology makes the best gift. A good example is an arcade machine replica such as the Mini Arcade machine, available at Everything but Flowers. It’s a great gift for anybody who likes gaming. 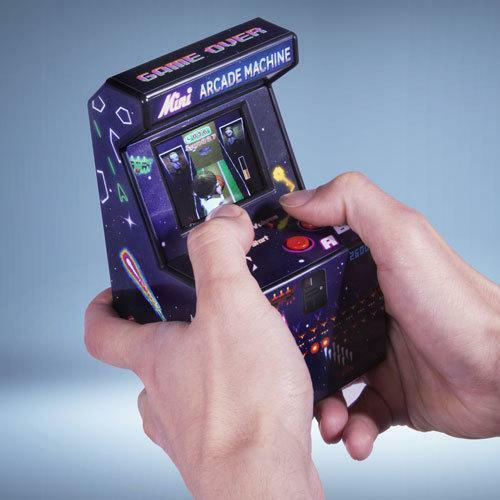 The Mini Arcade Machine offers a wide range of 16-bit games and includes a mini joystick and LCD screen. So even though this piece of tech is small, the gaming fun is big! Speakers always come in handy but waterproof wireless speakers? Now there is an idea. 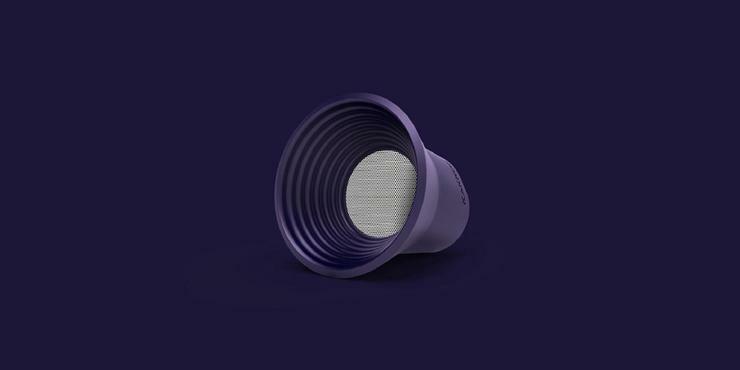 The Kakkoii Splash Waterproof Wireless Navy Speaker has a waterproof rating of IPX7 and is a favourite among tech lovers. With a battery life of at least five hours on maximum volume, this speaker guarantees hours of entertainment in the great outdoors. Even when it is raining! Sometimes, you do not even have to buy tech to provide tech lovers with a nice surprise. For instance, you can get them something with which to keep their tech organised – such as a felt bedside pocket. The Felt Bedside Pocket is designed to store smaller pieces of technology including phones, tablets, headphones, and television remotes. Perfect for the techie who has everything but nowhere to put it. Retro gaming consoles are making a comeback. And that is good news for anybody looking to save money on tech gifts. Introducing the Retro Pocket Game Console, jam-packed with 80s-styled games. While the console may not offer the latest PlayStation or Xbox games, it does have access to more than 150 different games. Best of all, it fits in the pocket, ensuring gamers are entertained no matter where they are! When you think about virtual reality (VR), the Oculus Rift VR system probably springs to mind. But it might be a little expensive for the cash-strapped gift seeker. No problem. There are some affordable VR headsets which aren’t quite as advanced as the Oculus Rift but still make a perfect and entertaining present. Discovery Channel VR Glasses are an affordable VR headset. 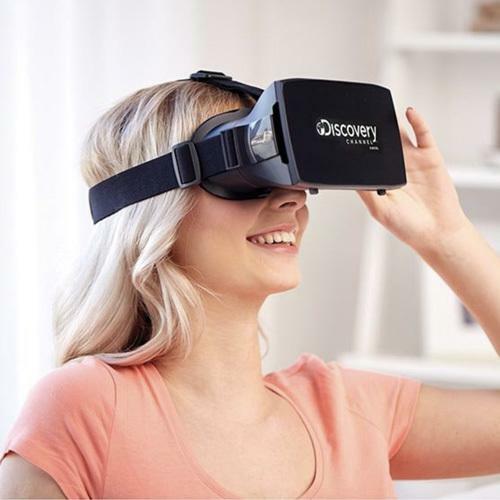 As the name suggests, this piece of technology is perfect for Discovery Channel fans, as they can watch some of its stories in all their VR glory. Accessories can also make a great gift for the techie in your life. A lazy arm allows them to keep their tech in place without having to lift a finger. One of the most popular is the Tablet Lazy Arm, which holds a tablet or iPad in place. And there’s more! Lots more. Simply search for accessories for his or her favourite tech and you will find options aplenty. Visit Everything But Flowers Facebook page.